For more than 40 years, 3M™ Coban™ Self-Adherent Wrap has been making life easier for patients and health care providers alike. 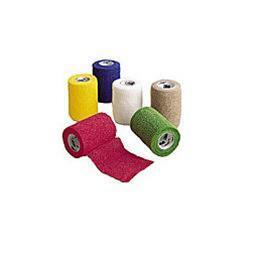 Coban self-adherent wrap helps secure dressings and devices, reduce edema and post-operative swelling, and immobilize splints and strains. This elastic, cohesive wrap is comfortable for patients, convenient for clinicians, and provides excellent cohesion—it sticks to itself and not to skin, hair, clothing, or surgical drapes.